Andhra Pradesh Postal Department has released a notification for the recruitment of Administrative Officer posts, Sub Ordinate Officers – postal divisions, Sub-Ordinate Officers -RMS division posts. All the candidates who are looking for the jobs in AP can check the eligibility criteria and other important details from the article. Aspirants can apply online from the direct link provided below. The Department of Posts (DoP), trading as India Post, is a government-operated postal system in India. Generally referred to within India as “the post office”, it is the most widely distributed postal system in the world. The postal service is under the Department of Posts, which is part of the Ministry of Communications of the Government of India. This is one of the largest government organization in India. This year it has released notification for the MTS posts and the candidates who are looking for the jobs can apply online from the official website. Candidates must have at least Matriculation/ITI from any recognized board. Age limit: Must be 18 to 25 years for general category candidates. And the age relaxation will be applicable for all candidates as per the norms of the government. Selection process: Candidates will be shortlisted for the written test and interview rounds. Selected candidates will get the pay scale of Rs 18000 per month and other allowances as per norms. 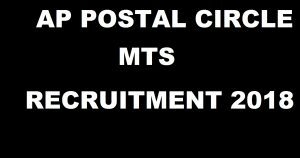 How to Apply For AP Postal Circle MTS Recruitment 2018? 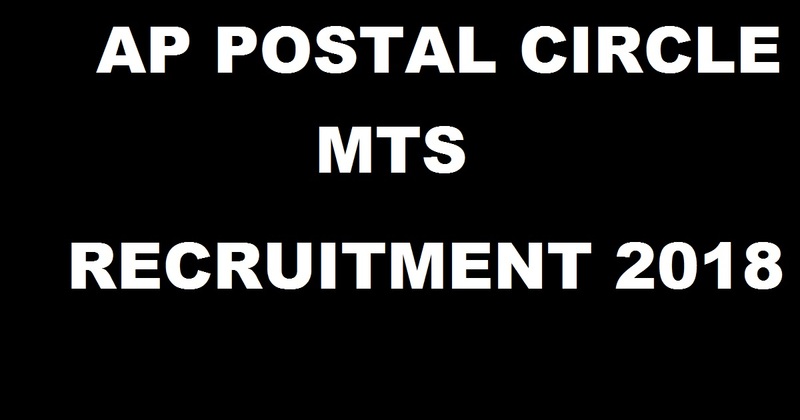 Click on AP postal circle MTS recruitment. Stay tuned to this website. We will update latest recruitment notifications here. Press CTRL+D to bookmark this page for easy navigation.